Projects for the use of solar energy is becoming incredible. 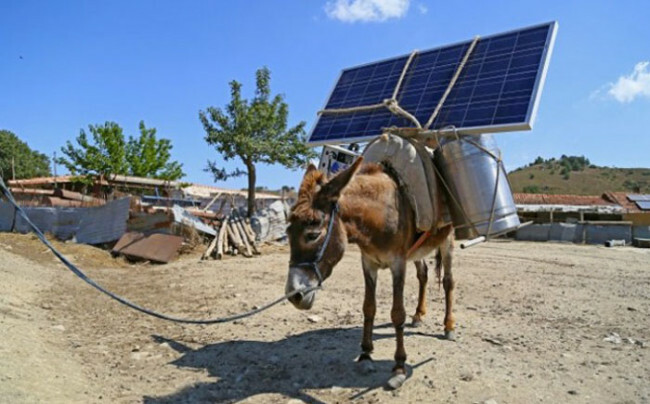 They cover both conventional solar panels in sunglasses Ray Bans, and donkeys with solar panels on their backs. And it’s not a joke, but in order to have a source of energy was in the most remote regions of civilization. 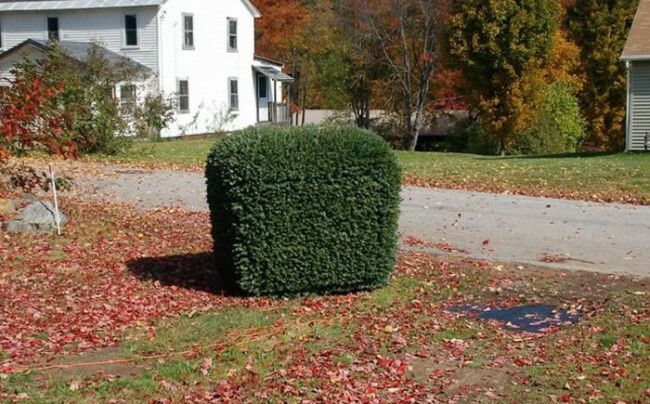 Externally, the device looks like a bush. When it suddenly starts to move along the ground, then appear in the imagination pictures of horror films. Moves on the ground bush, namely, the vehicle Solar, leafy, is the work of Justin Shalla, allowing discreetly explore the area. Cameras that are outside of the object, the image is transmitted to the display, and you can easily see all around. It is known that the installation and use of solar panels – a laborious process that requires a lot of effort. If you put it in an ordinary goods container can be easily and quickly deploy a solar station anywhere. Ecos PowerCube system fit into containers of different sizes – from 3m to 12m within which accumulates energy. In expanded form panels exceed the size of the container 3 times. 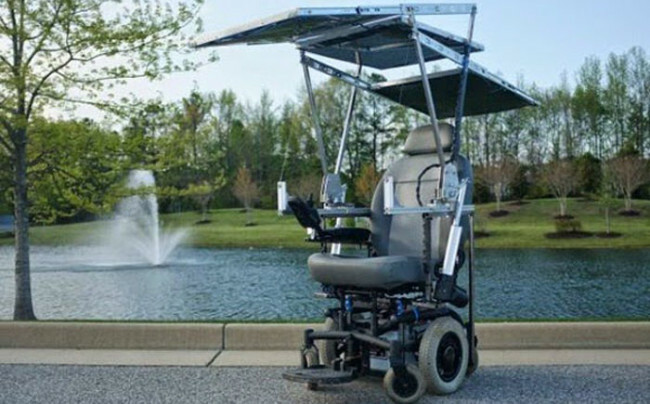 Among the tools developed for people with disabilities, chair Solar ranked first. It was created by students of the University of Virginia. It is equipped with panels for solar energy absorption area of ​​one square meter, which can be doubled in cloudy weather.Seat can move at a speed of about 2 km / h without consuming battery power. Lawn mower self-sufficient in energy obtained from solar panels. This robot is not necessary to control the process of cutting, as the unit operates autonomously. 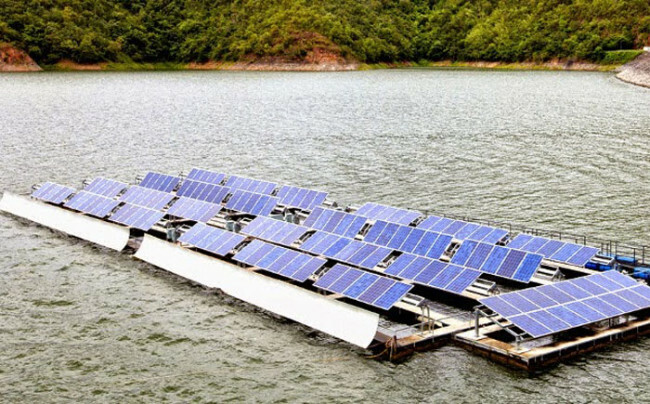 The world’s largest floating solar station will be established in India in the southern state of Kerala. For a project to develop a 50-megawatt solar power allocated $ 72 million. The use of reservoirs for the installation of solar plants will solve the problem of payment of land lease. Installing solar station on the water will cost 15% cheaper than on the ground. Even in the most remote regions of civilization, where the car – a rarity, it is possible to obtain energy from solar panels. In Turkey, for example, is used for this purpose donkeys. Since animals all day loitering in the streets of the village, it is possible to install on their backs solar panels. 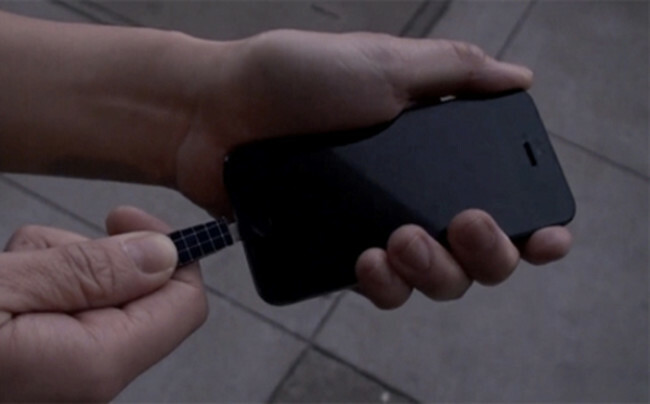 With this technology, people will be able to charge mobile phones, laptops, and easy to use light. 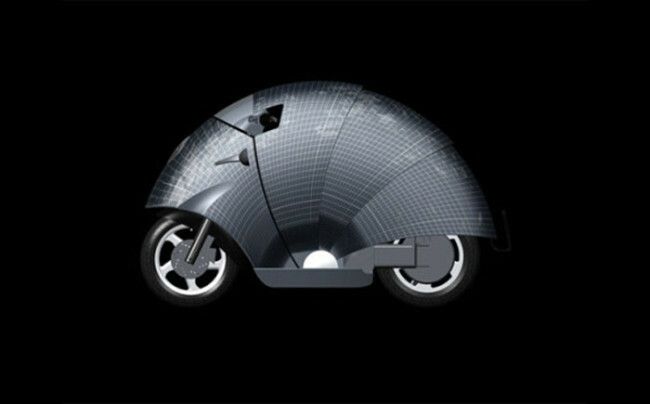 When all of the scooter SunRed conceptual scooter deployed, it looks like a large beetle or a battleship. 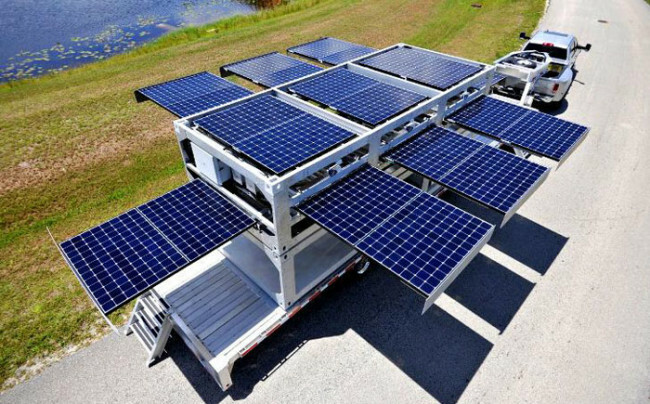 Panels accumulate energy from the sun, while it is parked. 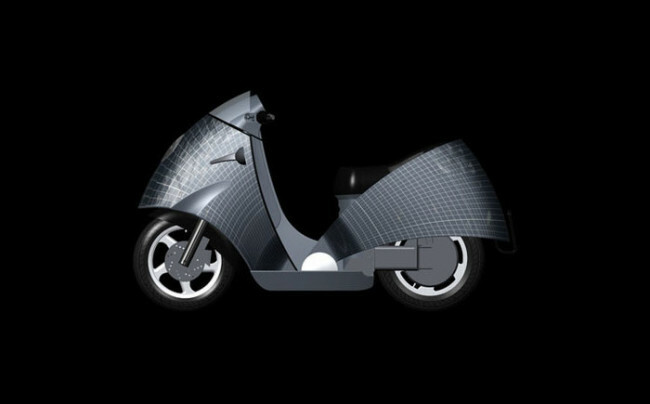 One charge provides a maximum speed of 50km / h, and the scooter can travel 20 miles on a single charge. If you have to spend the whole day on the street, and charge your cell phone will not be possible, it is worth to take a portable charger with solar batteries, for example, specially equipped points. When the sun sets, it is necessary to remove the shackle with points and insert it into the port of the mobile phone the iPhone 5. 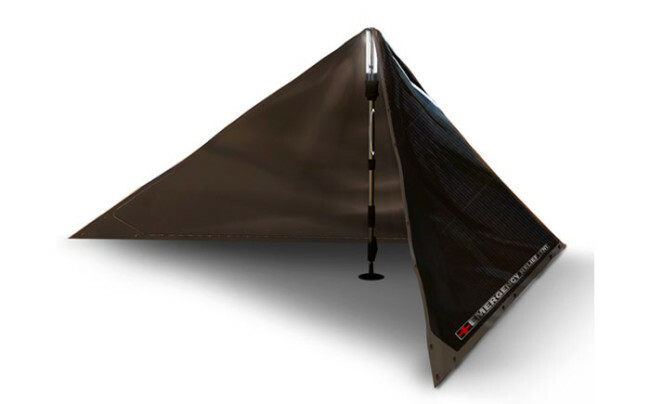 In the context of disasters will be necessary to use tents for the victims, which is due to solar cells will provide a light and comfortable environment. In addition, it can be used simply as a shelter for a large group of people. 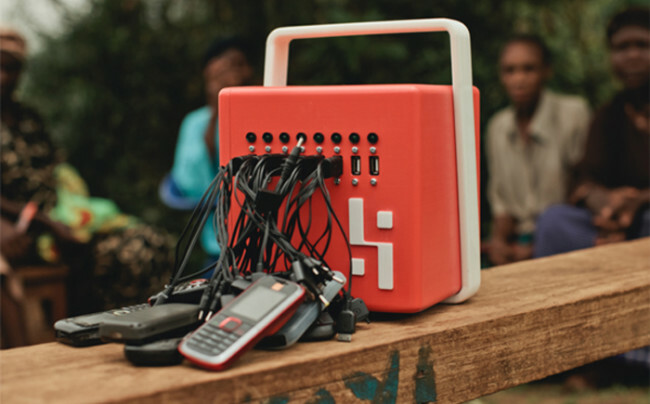 Suitcase that looks like a box for lunch, but a little larger – this charger for mobile phones with solar batteries. Due to adapt BuffaloGrid cost 425 dollars at the same time can be charged 40 phones in areas where electricity is not available. The device is available free of charge to entrepreneurs, but for everyone who wants to charge a fee is taken, therefore, the operator makes a profit. 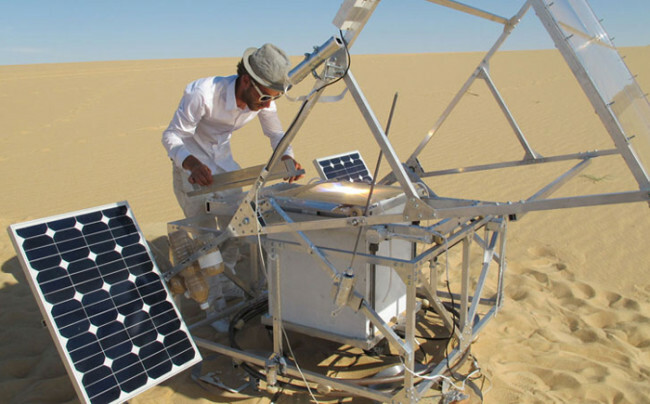 Engineer Marcus Keiser found this to good use 3D printer, which under the influence of solar energy turns sand into glass, producing different objects. And because the printer does not work on synthetic, and natural materials, which on Earth are so many, the process can last indefinitely. 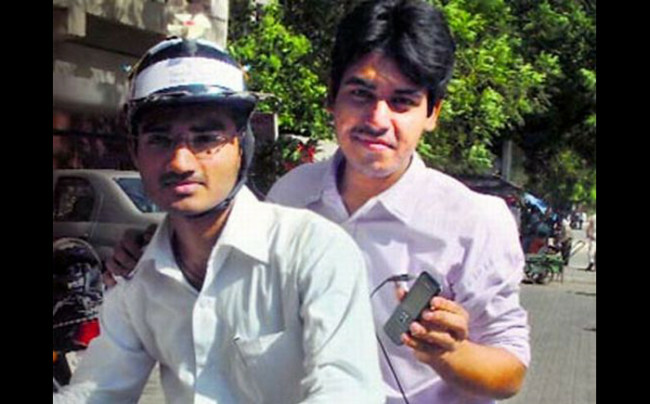 In the Indian Nirma University for three days to create an unusual but practical charger for mobile phone, setting an ordinary helmet solar cells that accumulate enough energy while driving a motorcycle. Enough to drive 40 minutes to charge the phone. A copy of the device will cost $ 22. 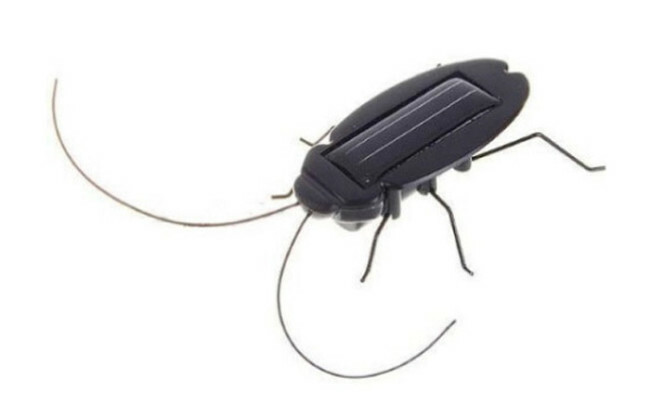 “Cockroach” – it’s just a toy worth about $ 2.50, but solar-powered, which clearly demonstrates the principle of integration of modern technology. Of course, swimming in a bikini, created by Andrew Schneider, will not work, but on a sunny day because it can recharge your mp3 player or phone. 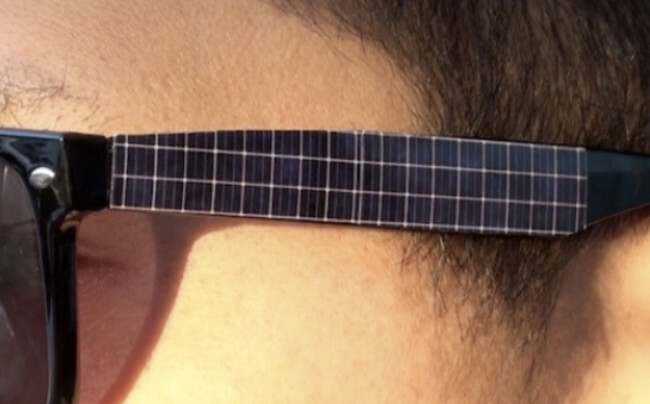 On the bra installed photovoltaic thin flexible batteries as a film. Product cost $ 200. Not all vehicles with solar batteries must meet the requirements of high technology. 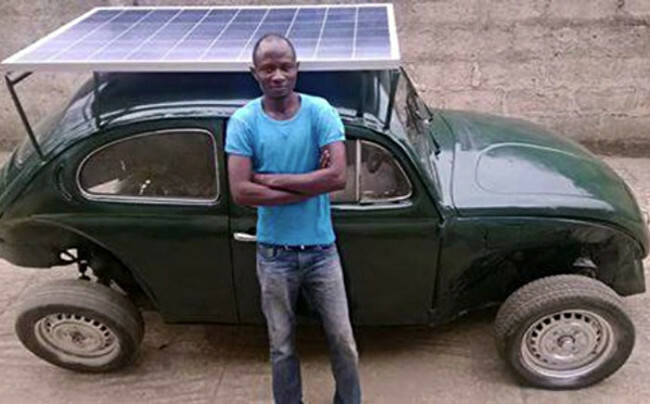 Nigerian students Shogun Oyeyola with classic Volkswagen Beetle car with solar panels. Reconstruction and materials, which were mainly found somewhere or bring friends, was spent 6000 dollars. A battery mounted on the vehicle roof. On a sunny day to recharge the car takes 5 hours. Although Tesla Roadster with him not to compete, but it looks decent in box on Nigerian roads.